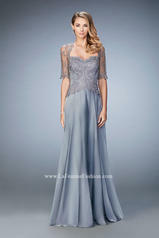 Lovely evening gown with embroidered lace top and full skirt. 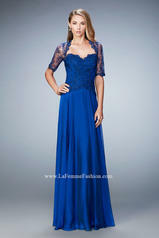 Sweetheart neckline with 3/4 length sleeves. Back zipper closure. Evening Size Chart B.